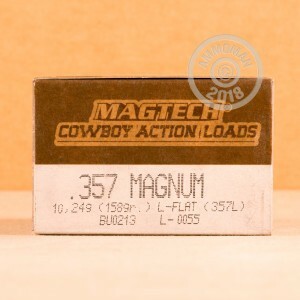 357 Magnum is a fantastic round for self defense. With a great reputation for stopping power, this round invented in 1934 will keep any assailant from harming you. Based in Brazil, Magtech makes some of the best ammunition out there. With their innovation and precise, high quality manufacturing, anything you get from Magtech is top of the line. If you want a good, inexpensive, range training round, the lead flat nose is the round for you. While not as expensive as rounds such as the lead semi-wadcutter, it still leaves a great, round hole in the target. 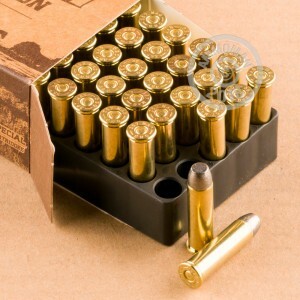 With these 158 grain, lead flat nose rounds from Magtech, you have just what you need for a great time at the range.